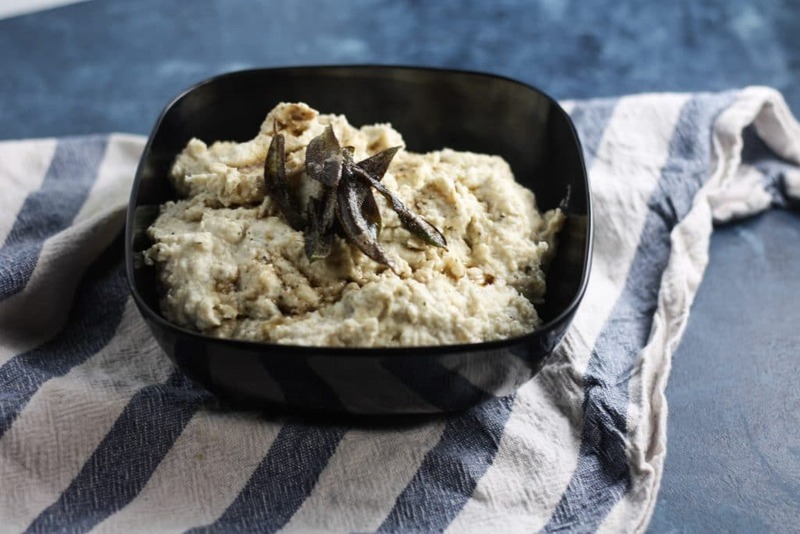 This easy to make Creamy Cauliflower Mash with Brown Butter and Fried Sage is a good low carb mashed potato recipe that makes it easy to get in your favorite comfort food and is also great for a keto thanksgiving. 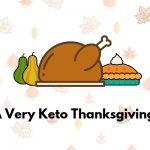 I can’t believe next week is Thanksgiving! This year feels like it has gone by so quickly. But I’m loving the fact that the holidays are upon us. It’s such a nice time of year, homes are decorated and cozy, everyone’s feeling jolly and there’s lots of food to warm your soul. 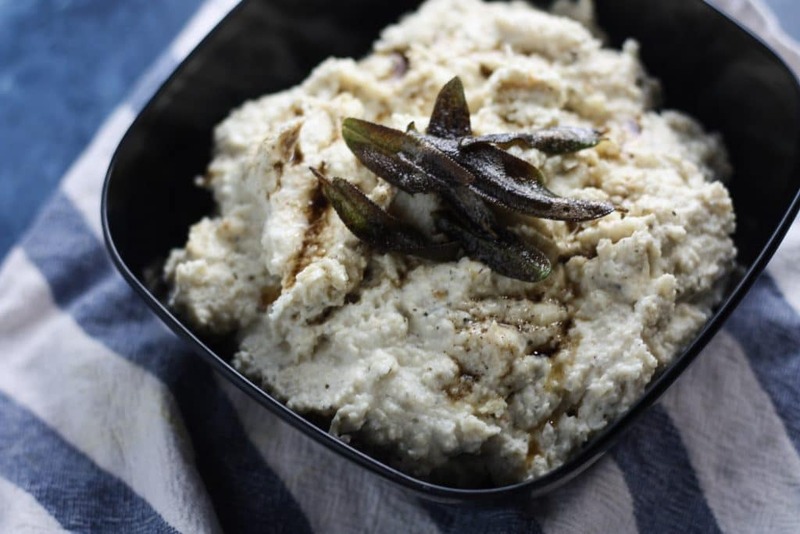 I’m not hosting Thanksgiving this year but I am hosting Friendsgiving and one of the dishes I’ll be making is Mashed Cauliflower with Brown Butter and Fried Sage. 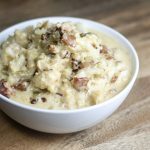 It’s perfect for those doing low carb and I actually enjoy the flavor much like mashed potatoes. 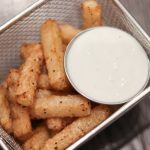 The brown butter and fried sage takes it to another level and is very good plus easy! 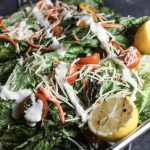 If you’re keto, this is a great recipe to not miss out! Even if you’re having traditional mashed potatoes, this would still be a great addition to your holiday table too. If you get pre-riced cauliflower, it’s super simple and quick to put together! In a pot over medium heat, add 1 tbsp butter. Add in cauliflower crumbles and allow to cook for 3 minutes, stirring occasionally. Add in cream cheese and sour cream, allow to melt. 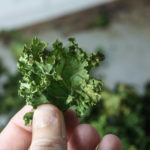 Give it a few good cracks of salt and pepper which will help cut the fat and add some much needed seasoning. If it's bland, you need more salt! In a pan, melt remaining 1 tbsp butter over medium low heat. 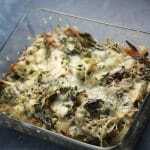 Once melted, add in sage leaves and lightly fry until butter has turned slightly brown but not burnt. 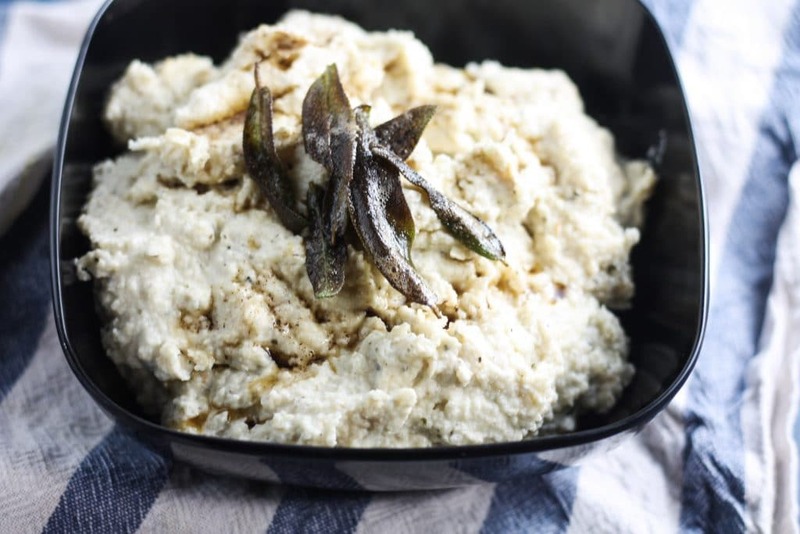 Pour brown butter and sage leaves over the top of creamy cauliflower mash.